Columbia Pictures has just released the US and international one-sheets for “Concussion” starring Will Smith and directed by Peter Landesman. 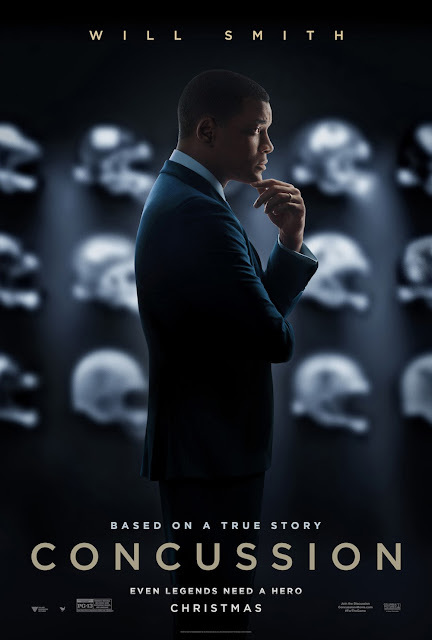 “Concussion” is a dramatic thriller based on the incredible true David vs. Goliath story of American immigrant Dr. Bennet Omalu (Smith), the brilliant forensic neuropathologist who made an important medical discovery. 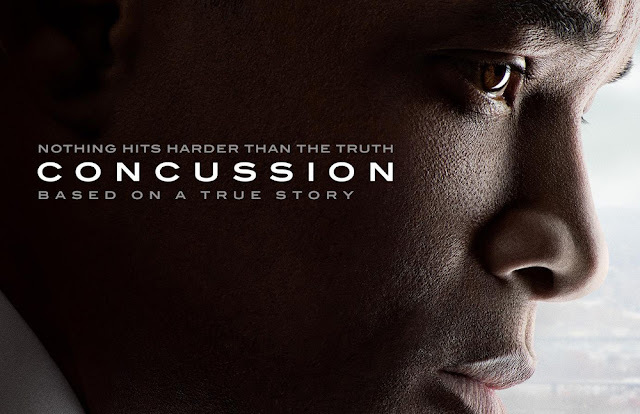 Dr. Omalu’s emotional quest puts him at dangerous odds with one of the most powerful institutions in the world. 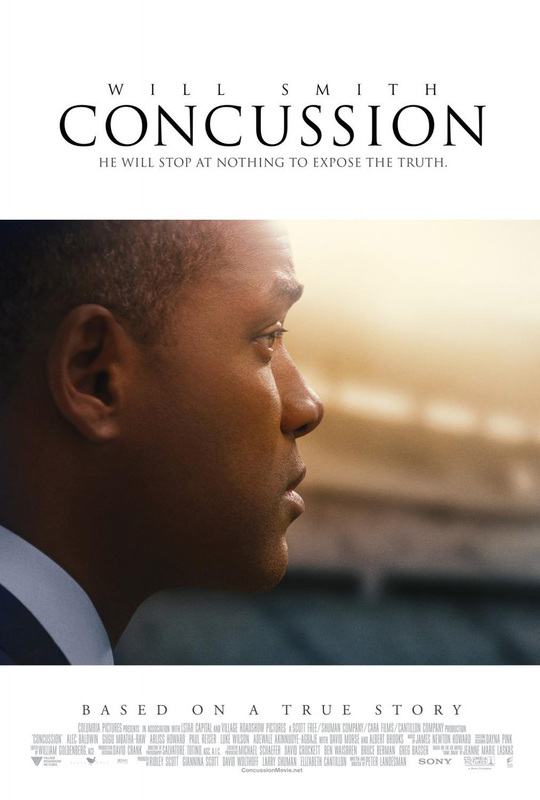 Columbia Pictures presents in association with LStar Capital and Village Roadshow Pictures, a Scott Free / Shuman Company / Cara Films / Cantillon Company production, Concussion. 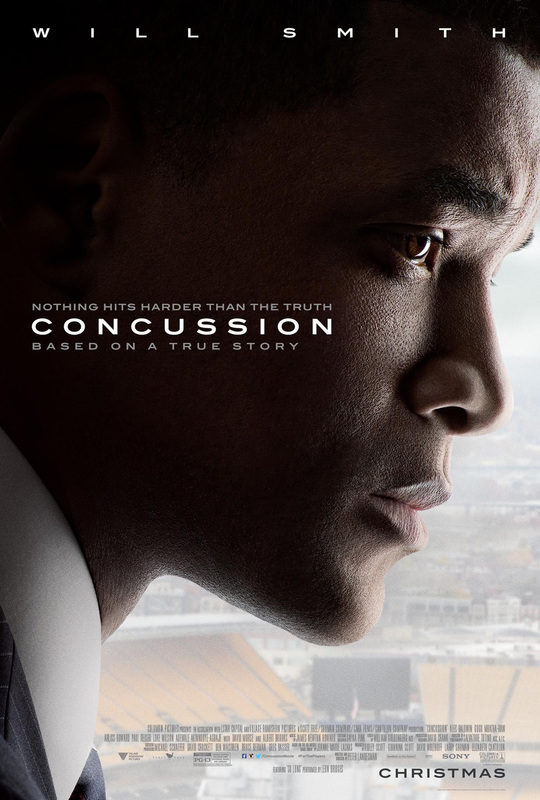 The film stars Will Smith, Alec Baldwin, Gugu Mbatha-Raw, Arliss Howard, Paul Reiser, Luke Wilson, Adewale Akinnuoye-Agbaje, with David Morse and Albert Brooks. Written and directed by Peter Landesman. Produced by Ridley Scott, Giannina Scott, David Wolthoff, Larry Shuman, and Elizabeth Cantillon. Based on the GQ article “Game Brain” by Jeanne Marie Laskas. Executive Producers are Michael Schaefer, David Crockett, Ben Waisbren, Bruce Berman, and Greg Basser. Director of Photography is Salvatore Totino, ASC, A.I.C. Production Designer is David Crank. Edited by William Goldenberg, ACE. Costume Designer is Dayna Pink. Music by James Newton Howard. Opening across the Philippines on January 2016, “Concussion” is distributed by Columbia Pictures, local office of Sony Pictures Releasing International.